I’ve recently gone back to freelance illustration full-time, and so I’ve started to re-work my portfolio with new personal pieces like this one. 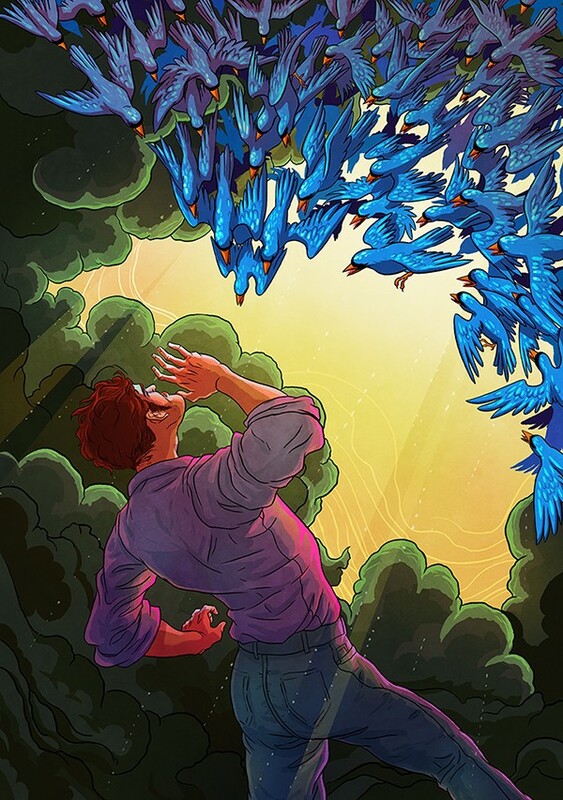 Social Attack is a new illustration that touches on the notion of the ‘dwindling opinion.’ With social media, people don’t necessarily have actual, cohesive debates anymore, so much as they verbally attack or harass one another for having differing opinions, and refuse to hear the other side of the argument. Kim Herbst is a freelance illustrator located in San Francisco. She received her BFA in Illustration at the Maryland Institute College of Art. She is a half-Chinese gal who spent … Show more. Send a message directly to Kim Herbst. Kim Herbst is a freelance illustrator located in San Francisco. She received her BFA in Illustration at the Maryland Institute College of Art. She is a half-Chinese gal who spent time in Taiwan, Tokyo, New Jersey, Baltimore, and Brooklyn. She loves drawing people, animals, wavy lines, and everything else in between. She shares her studio with her husband in Japantown, with a cat named Pixel. She also works in mobile games.